In our first season of art docs we focused on having artists speak about their work as well as the work of other artists. 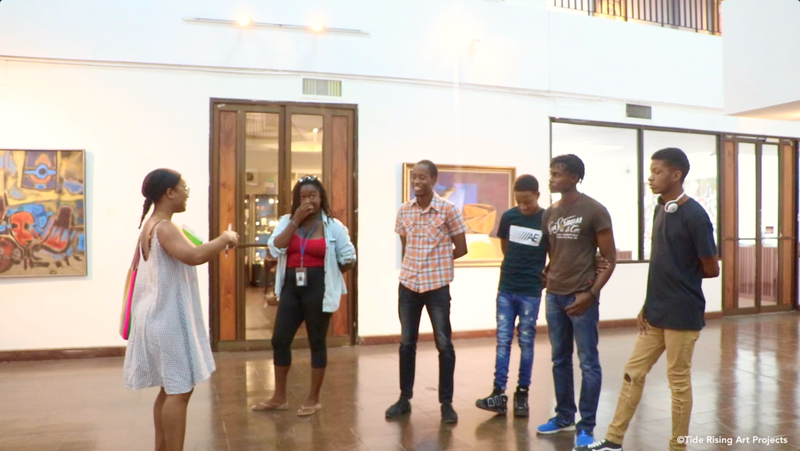 In season 2 we have focused on a perspective on the curation of Caribbean art with highlights from the studio practices ofJamaican and Trinidadian contemporary artists. This season, independent curator and writer, Nicole Smythe-Johnson, spoke with us about the nature of curating, the skills needed and the process of curating an exhibition. She also shared her journey to becoming a curator. Nicole also discusses selected art installations that were a part of the 2017 Jamaica Biennial. The artists whose work is featured in this first section of our 2nd series of videos are: Xayvier Haughton, Deborah Caroll Anzinger, Laura Facey and Andrea Chung. Remember to follow us on Instagram, like our Facebook page and subscribe to our YouTube channel to keep notified of our upcoming videos and events.